jose garcia This is a valid product deal. yen perez This deal works and I am validating it, only valid while it has not expired. All you have to do is open the link bellow and enjoy the offer. 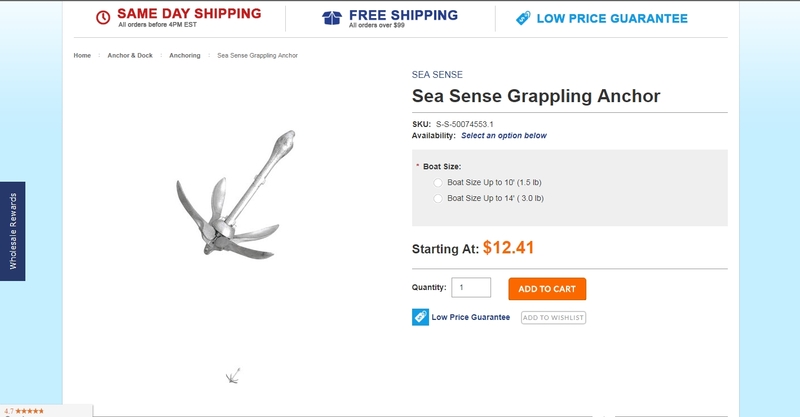 Ismael Lista Excellent offer for a grappling anchor, it´s a great deal More holding power per pound. The Grappling Anchor is great for all small boats, including dinghies, inflatables, canoes and personal watercraft (PWC). The ability to quickly fold and unfold in seconds and stow in a very small compartment makes the Grappling Anchor a good choice. Galvanized iron.